Every year, The Hubs and I love hosting a small group of friends for New Year’s Eve that’s filled with food and a well stocked bar. While he cooks, I’m usually in charge of plating cheese, charcuterie and pouring drinks. For us, the biggest challenge is balancing the time we spend prepping in the kitchen vs actually hanging out with our guests. The key to solving this problem, shortcuts! 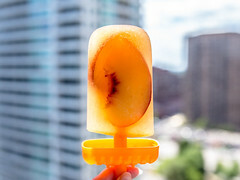 Like using Pure Leaf flavoured tea as a mixer. 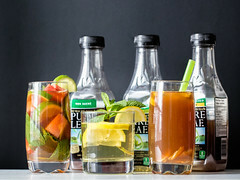 This summer I worked with Pure Leaf to create three iced teas using their 100% real brewed tea. 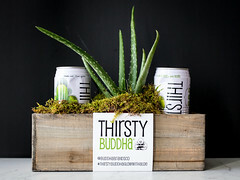 One of these drinks also works perfectly for the upcoming holiday season and can be even more streamlined! 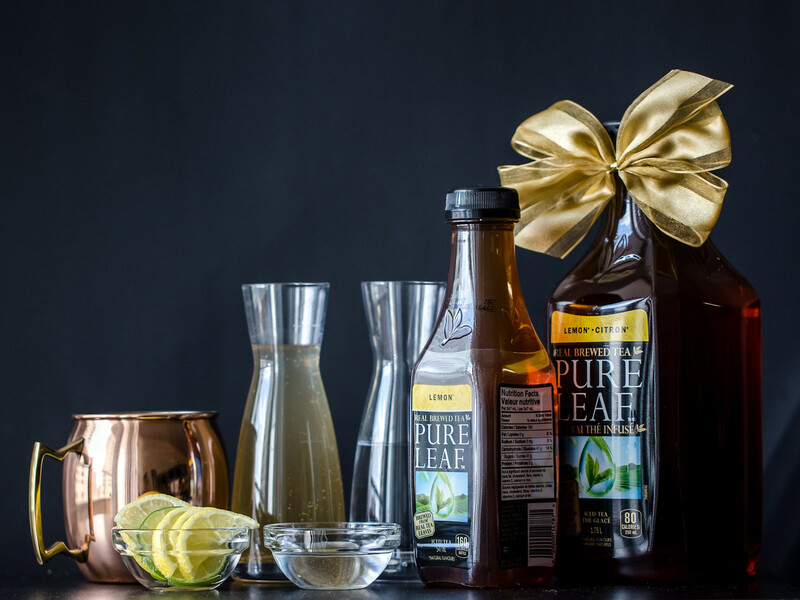 Combining a few simple ingredients with Pure Leaf lemon tea creates the perfect beverage for any #HolidayParTea or cozy night in. 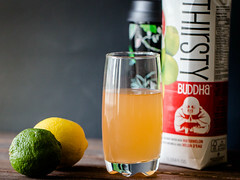 When I first made my Ginger and Lemon tea cocktail, I used a simple syrup infused with ginger and Unsweetened Pure Leaf Lemon tea. 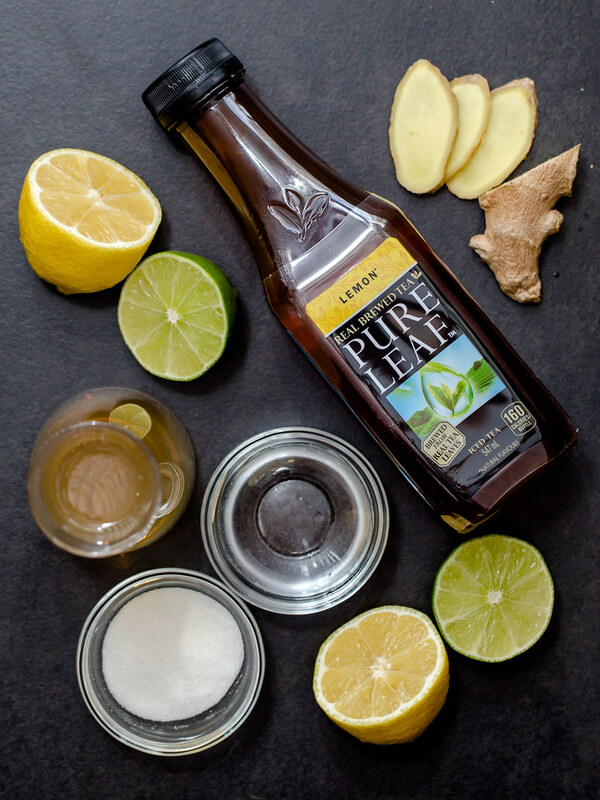 To save a step, supplement the simple syrup with ginger beer and normal Pure Leaf Lemon Tea. I liked a 1:1 ratio of ginger beer to tea, which was the perfect sweetness for me. 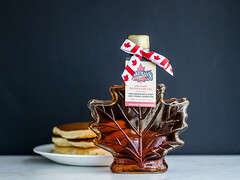 If you feel like you need a bit more sugar and have the time, you can add a few tablespoons of simple syrup or honey. 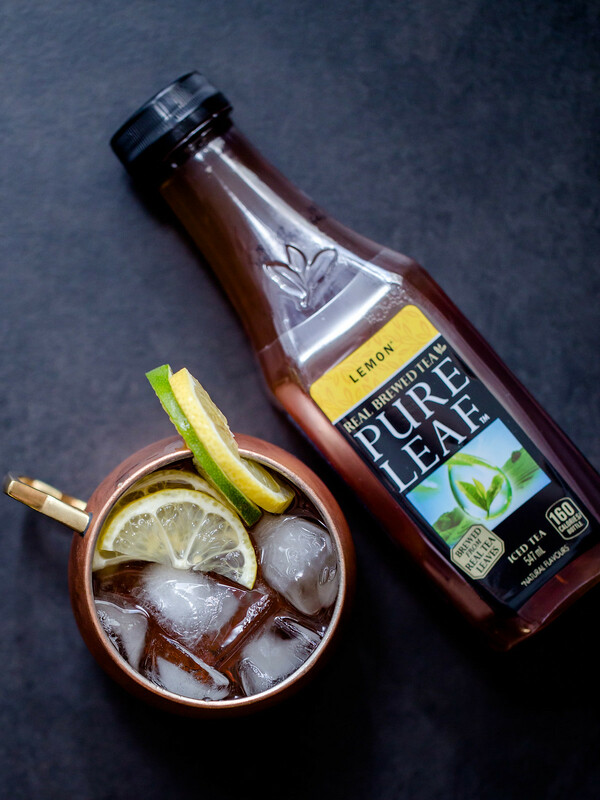 With a shot of vodka, the tasty, spicy drink will warm up anyone on a cold day. It’s also incredibly fast and easy to put together, giving me the time to enjoy my company rather than only serving them. 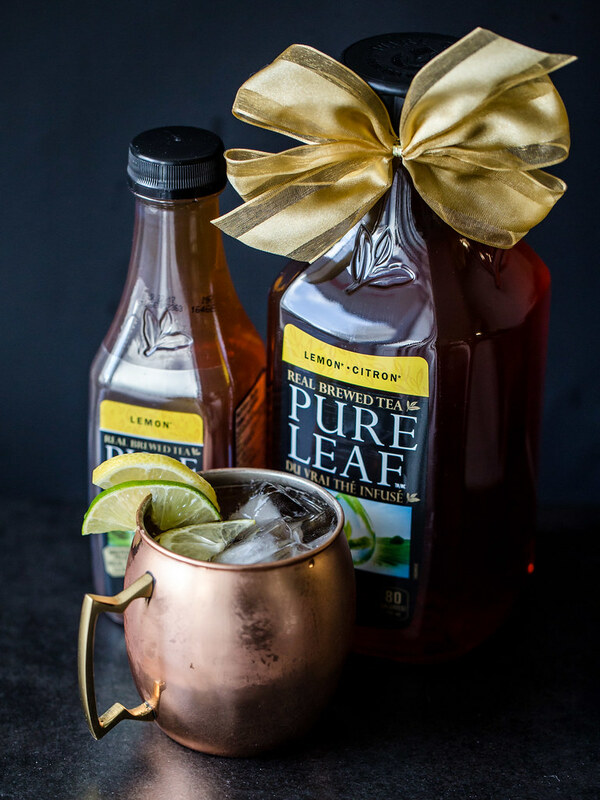 Disclaimer: This post is sponsored by Pure Leaf Canada. All opinions expressed are wholly mine.